These shirts will be available *after* every game over the festive period and 2019 while stocks last. LFC Vancouver’s partner The Run Inn has the Liverpool FC New Balance runners on sale for $89.99 a pair. They have limited stock of the red ones and lots of the grey. For specific questions about their stock and sizes, please call the store at 604-267-7866. The match is on Monday 20 August and kicks off at noon. The Run Inn now has in stock some new pairs of New Balance LFC runners. Price is $99.99 a pair for members of LFC Vancouver. Most sizes are available. They also have in stock the 2018/19 grey away shirt. 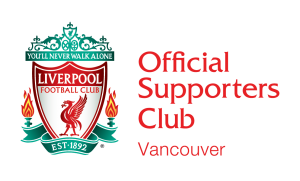 Price is $80 for members of LFC Vancouver. For specific questions about their stock and sizes, you can call the store at 604-267-7866.